George Neilson Denton was born in Montgomery County on July 6, 1871. When he was still a small boy, his family moved to West. His childhood homestead straddled the McLennan and Hill county line. After attending public school there, he went on to receive a law degree from the University of Texas in 1895. Upon returning home to West, he began practicing law and became a mason at West lodge. He entered the officer lineup there, rising as high as Senior Warden in 1905 before he removed himself and relocated to Waco. 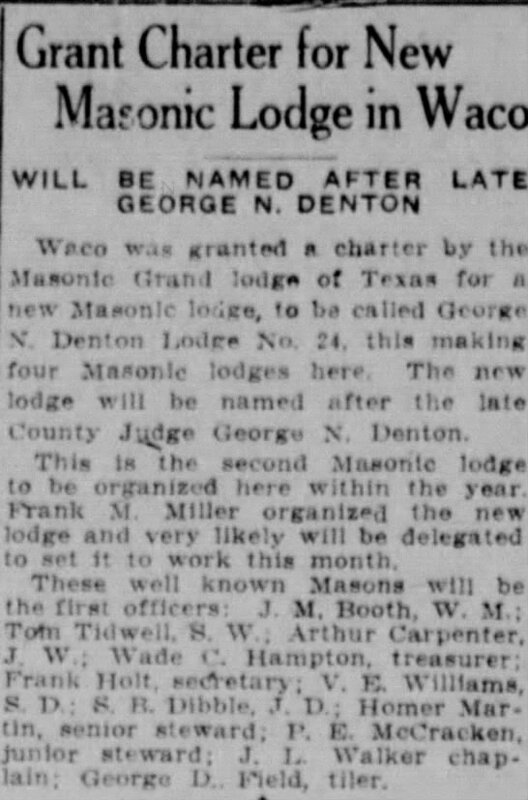 There, he re-opened his law practice and affiliated with Waco 92 where he became Master of the lodge in 1910. In 1912, Denton gave a public speech regarding the bravery of soldiers that was so impressive, many attendees were seen crying. He proved capable in law and was elected county judge in 1912 and district judge in 1916. 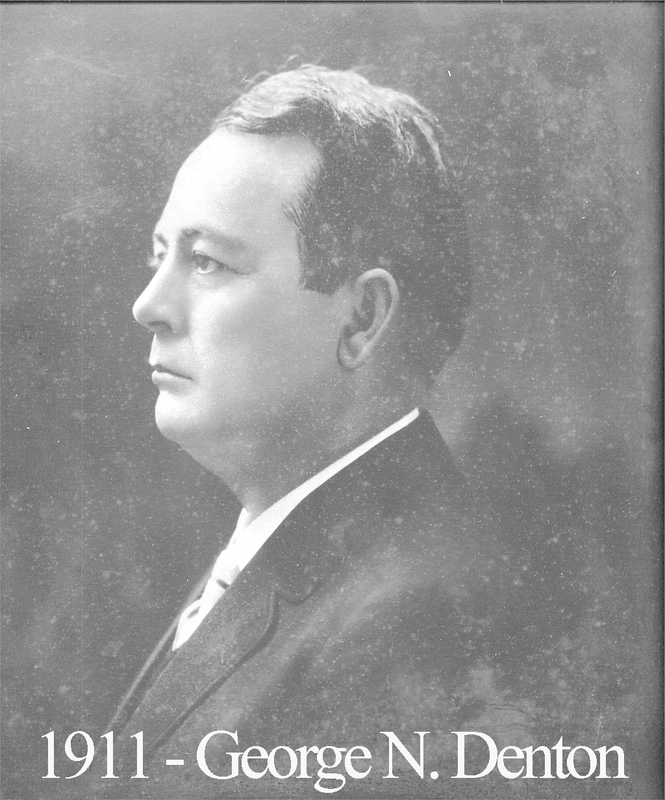 Denton was a leading advocate during the 1910s in the efforts to improve McLennan county highways. Two years after his premature death(caused by the flu turning into pneumonia), he received one of the highest honors in freemasonry when a new lodge was formed and named in his honor: George N. Denton #24. Sixty-four of its charter members were members of Waco 92. Bernard Raftery, an Army veteran and member of George N Denton #24, was the great-grandfather of our recent Past Master Robert Marshall. Raftery’s role in Bro. Marshall’s childhood encouraged him to become a Mason.